Discussion in 'Security & Defenses' started by 61falcon, Oct 8, 2018. Right now we are embroiled in a conflict with Turkey which is buying Missile systems from Russia against our wishes,we however have no leverage over them.The reason is because Turkey manufactures many key components of our TRILLION DOLLAR F35 fighter jet and they are sole manufacturers of these parts.If we try to impose sanctions on them they will stop shipping parts critical to the manufacture of our Trillion dollar F35.How dumb can we possibly be to allow this to happen and why is an American Defense contractor shipping manufacture offshore to a less than allied country?? What conflict are we having with Turkey? Did somebody declare a war and forget to tell the world about it? The U.S. is protesting Turkeys purchase and deployment of Russian missile systems,that is a conflict.We want to do more but cannot because through our STUPIDITY they have us by the short and curly's. I see you are still posting from underneath your bed. Are we seriously allowing military components to be manufactured offshore ? I did not know this. Would you have a link ? In the global economy, almost nothing anymore is ever made entirely "in country". The circuit cards in any piece of equipment normally come from a dozen or more countries. India, US, China, Japan, Germany, etc, etc, etc. And more and more the choice is made to use COTS as opposed to more expensive specially built equipment. I have seen this myself over the decades. Look at equipment designed in the 1980's or before, and it generally uses specifically made components used by the military and nobody else. This was often because they were often the first to use that equipment, when there was no "standard" in use yet, so they made their own. Case in point, the fiber optic cable. 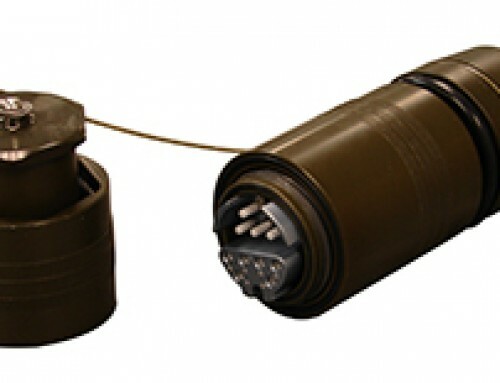 While the rest of the world uses a more traditional push in system, the military still uses the TFOCA (Tactical Fiber Optic Cable Assembly). It is a very rugged standard, and many companies that operate in extreme environments use it. But only the military uses it for almost any fiber optic installation that is not inside of a permanent building. And a lot of equipment still uses very expensive specially built equipment to meet this standard, but the rest is much more likely to be standard commercial equipment. Which it should be noted has been driven off-shore by the buying habits of the consumer. Every TV and display monitor the military uses is imported, because we have no domestic production of those items. The consumers choosing to buy Sharp, Sony, Sanyo, Goldstar, and the rest has driven Zenith, Magnavox, Quasar, and every other domestic manufacturer out of business. The last major purchaser of Zenith computer and monitor equipment was in fact the US military. But that was not enough business to keep the company operating. I get that standard off the shelf stuff would be manufactured elsewhere but I was under the impression that some of this stuff being manufactured in Turkey was more proprietary. I bemoan the offshoring of our manufacturing base. This was a strategic error in allowing the corporate interests (international financiers and national oligarchs) to have to much influence on domestic policy - in particular certain aspects of the tax code which penalizes companies for manufacturing in the US and puts them at a competitive disadvantage. With Klansmen, NRA members, Russians, deplorables, ICE Agents, some beds don't have any room under them for anyone else to hide under. No, that was done because of the American consumer and nobody else. Companies operate to make a profit, that is Business 101. And ultimately it is the consumer that decides what they want to buy. When they care about their own nation's production, they "Buy American". When price is their #1 concern, they often "Buy Foreign". The American TV industry is a perfect snapshot of that. We were the world's leader in TV manufacturing for decades. We also invented the VCR. But by the late 1980's we were out of both of these businesses. This is because the consumer made the decision to buy cheaper imported products. And the crapola about corporate interests and the rest is just that, crapola. Notice the names I mentioned. Quasar, Zenith, Magnavox, as well as others. RCA, Admiral, Audiovoxx, Westinghouse, Sylvania, Motorola, Muntz, Jensen, and many many more. All are companies that either completely left the TV industry, went bankrupt, or on the verge of bankruptcy sold off to another foreign company. No kind of conspiracy fueled "national oligarchs" statements can change the fact that the American consumer and nobody else ultimately put those companies out of business. It was their buying habits that did this, and nothing else. And the same is true of most American businesses. Levi has not made jeans in the US for decades. They had to choose, keep manufacturing here and be priced out of the market (like the TV companies I listed), or move manufacturing off-shore in response to the cheaper imports. Once again, a Business 101 topic. So long as the American consumer values price over everything else, this will continue. I am not that familiar with the "television" industry ( other than the stuff the US was putting out was crap compared to Toshiba, Panasonic and so on) I am however familiar with that of which I speak and it is clear that you are not so you should tone down the bluster because you are pretending to know things that you do not. Levis is probably a better example but I will use NIKE. While it is true that producing shoes in slave labor nations decreases the cost of goods - this is not the main problem. Even if you could produce in the US for the same cost of goods - it is still more profitable to manufacture outside of the US. Assume cost of goods (manufacture) is 10 dollars - for both USA produced shoe and "Slave labor". Assume shoe is sold in the US for 100 Dollars. Assume cost of sales is 20 dollars. Profit in the US is then 70 dollars on which you are taxed. Assume cost of sales is 20 dollars for "slave labor" shoe. Profit is then the same 70 dollars. The difference is this. That shoe is sold first to a shell corp in the Cayman Islands - for the 10 dollar cost of goods. The shell corp then sells that shoe to NIKE USA for 70 dollars. In this way the taxable profit is reduced to 10 dollars. All perfectly legal. This is just one of many examples. Price fixing and anti competitive practices, monopolism and regulations which keep the little guy from competing is a big problem - a problem of which I am aware first hand - and you clearly are not. If you would like more details let me know. First off the F-35 program is NOT a "trillion dollar program" by any stretch of the imagination. Actually, the US sets were considered the best in the industry. I owned a late model Zenith about 10 years ago, and it was the best TV I ever owned. It had inputs and outputs in the back that make even most modern TVs look humble. It could input and output sound and video from many sources, and had stereo speakers. The remote that came with it could also run many other devices, and it had an anti-glare protective screen that protected the screen itself. It was circa 1995, and was a $1,200 set brand new. The quality of US TVs was not crap, they were the best in the industry. But the price was also usually around double the price of an import from Japan (then the rising market - mostly Sony with their Trinitron tube), and the cheap ones being pumped into the US at the $200 price range from Goldstar. And Goldstar is now one of the world leaders when it comes to quantity of TVs produced. But now they go by the name of LG. And the quality showed in every aspect. I had hooked up my stereo, my computer, a VCR, a DVD player, my satellite box, and cable. And there were still many connections in the back I never used. I was sad I had to give it away, but I was going back in the military and had no room for a 100+ pound 32" TV set in a barracks room. That there is your problem. The cost to manufacture is not the same. They do not even close. And because you do not seem to comprehend that fact, you are always going to fail. Want an example shoved directly into your face to show this fact? The "Minimum Wage" in the US is $7.25 an hour. And let's assume that a product made in the US at minimum wage has to compete in the marketplace with the same good made in China. Where each product requires the exact same $1.00. In the US, that will equate to $8.25 per item. Now, what is the minimum wage in China? At today's exchange rate, it is $287.20. Oh, and that is per month. Assume 4 work weeks of 5 days per week, 8 hour days. That month (which only February meets BTW) means the Chinese worker makes only $1.80 per hour, so the cost of the final product is $2.80. So the US made product at $8.25 is competing against one that costs $2.80. Now for most things in my life (cameras being the only large exception, a good Pentax beat even the best Kodak camera hands down), I always chose to buy US or US made products. The only other exception were my Goldwings, but until a few years ago those were also only made in the US. But most people buy only on price. "Which is the cheapest" is the mantra of almost every consumer. And our standard of living shows that. Tell me, what was the last major purchase other than a car or house that you made was a "US product"? Your refrigerator? Your stove? Who made the last TV you bought before 1995? Heck, just about anything? In short, we stopped giving a damn long ago. I still laugh at the great line in Back To The Future II, where Doc Brown marvels that most of the components in his time traveling car came from Japan. In his time, Japan was the source of good camera, cheap transistor radios, and cheap tin toys. But Japan jumped on the Transistor before most US companies did, and were able to match quality at a cheaper price. Literally, they were Muntzing us out of business. And when their quality matched the US at a cheaper price, the consumer went for the cheaper product and the US manufacturing base was doomed. What price fixing? Maybe you should save all this for the CT section, it has no validity in real life. There is no monopoly, there is no price fixing, there is no such thing. Hell, half of the TV companies in existence now are only about 10 years old. Do you even know that one of the leading TV companies in the world has been making TVs for only about 15 years? TCL (Telephone Communication Limited) is a Chinese company made in 1981. They entered the TV market in 2003, and had moderate success. But about 3 years ago they started to produce a 55" 4K LCD that could retail for under $400. They are now the #3 manufacturer in the world. No, you are aware only in your own mind. Over and over you go into sheer Conspiracy Theory type nonsense, and it has not a damned thing to do with this. I ask you once again, who made your stove? your Fridge? Your car? Your couch. Who made anything costing over $200 that you bought in the last 20 years. I bet that damned few of it was made in the US. Because like 95% of people you shopped by price first, and screw anything else. Heck, if you are most people you do not even bother to shop locally. You bought your computer at a big box store or on-line, ignoring the fact that there are probably a dozen or more local stores that could have built you a better computer for even less. Right? That is typical of the CT mindset. they scream at the world, meanwhile ignoring that they themselves are actually the problem, and spinning fantasies to try and cover up that fact because they do not want to face the truth. Dude - you completely ignored the point being made and built a big strawman. I don't assume costs are the same. I said "EVEN if Costs were the same" is still beneficial to mfg outside of the US due to the tax loopholes .. and then explained exactly how that loophole works. You then respond by blathering on about costs not being the same ? Then you pretend that price fixing does not go on ? Are you kidding me .. either you have no idea what price fixing is or - just have no idea. No, dude, you are just completely out of your depth and Mushroom has stated it correctly. Obviously another area you actually lack knowledge in. maybe you should just stay in other areas of the forum that might suit your "talents" better. And once again you scream how nobody understands you, and completely ignore anything that I brought up. Let me ask it once again. What was the last major purchase you made that was not a vehicle or property, and where was it made? You showed over and over again that you know very little about these things you kept going on about ad nauseum. Like the TV industry. No, the US was not making "crap" compared to Panasonic, Toshiba, and the like. The US models were considered to be the finest in the world in fact! Motorola, Quasar, Zenith, Magnavox, RCA, those really were the finest sets that money could buy. But that is the thing, they cost on average 1.5-5 times as much as the cheaper imports. In fact, major department stores generally only sold such brands under their "store brand" label. Sears branded TVs were quite often Goldstar. Panasonic was popular in the 1970's for portable TVs. But the ones that most wanted for their homes as their main unit were all domestic brands. The Japanese brands you list were for the kids room. No, the Japanese models did not come to dominate until the 1980's. And it was not by technology, it was by price. Probably the finest quality sets were by Magnavox. GEs "Porta-Color" was one of the sharpest and best saturated tube designs ever, but it was patented by GE. RCA achieved a similar effect using newer more active phosphors inside of the tube. It was that development that caused Sony to do a crash research project into cheaper photon guns. Now shadow masking was not new, RCA had been doing it since the 1950's. But the US companies had moved away from it as they developed better technologies. The GE Porta-Color(which used 3 horizontal guns in sync for the color), and the RCA phosphor technology were superior to and produced much better pictures than that achieved by masking. But one thing almost all US units had in common was that they used 3 guns. Red-Green-Blue, normally in a triangle arrangement (other than GE). What Sony did was develop a single tube with 3 guns. This was cheaper to produce obviously than 3 guns, but suffered from focus issues. So they combined that with the shadow masking that had been used in the 1950s to "sharpen" the image. And voila, a picture almost as sharp and clear as that produced by the US companies, but at about 1/3 the cost. And yes, it was almost as sharp. Not sharper, not more clear, not better. It was actually inferior, but it was a lot cheaper. Tax loopholes, costs this against that, it is all nonsense if you ignore how the consumer shops. Until the 1970's, everybody in the US "Bought American". US cars, US appliances, US radios, US televisions, US clothing, US everything. But in the late 1960s and early 1970s, that started to shift. People were paying less and less attention to where an item was made, and more on how much it cost. I know my grandfather used to pick on my dad when he traded in his Nash for a Toyota. I know my parents never owned a "foreign" TV the entire time I was growing up, other than the Panasonic portable we kept in the camper for vacations. By the mid-late 1980's, the interest in buying domestic models had largely vanished, replaced by price being the most important thing. The last "Tube TV" I bought (2005) was actually a mid-1990's Magnavox, and it was by far the finest such set I ever owned. It was stereo, had quad speaker outputs right out the back, and over 20 other connections, ranging from composite and RGB to BNC, coax, and more. A polarized glass sheet in front of the set, picture in picture, and a dozen other features I never used. I picked it up used for around $75, but new it was easily an $800 unit. This is what you simply fail to grasp. When people shop by price, it does not matter what the quality ultimately is. Such a consumer does not care, they only want what is cheap. This is why today almost our entire economy is disposable. We no longer expect things to last 10-30 years. SO long as they last 3-5 years and are cheap, we are happy. Sour grapes setting in ? You got your backside handed to you in one area and so you follow me around desperately hoping to find something to attack- lacking that you make stuff up .. Humor ! I remember the Zenith being poor quality compared to Toshiba but I started out my post saying I was not familiar with the TV industry and the main content in my post had nothing to do with this. You then talked over almost the entire content of my post - which was about tax loopholes and other things - and yammer on about the difference in quality between US and Japanese made Televisions. In other words, the exact same equipment that everybody else uses, as opposed to something made specifically for the military (or somebody else) and nobody else. For example, I think the last piece of "proprietary" network switching equipment I saw in use in the military was the items used on the PATRIOT missile system. These were specially made back in the late 1970's, and are still in use to this day. Of course, to give an idea how big of a leap those were even then they were fiber optic cables and connections. But everything else? Standard Cisco (and other manufacturer) Cat-5 Ethernet equipment, just like everybody else in the world uses. Network switching equipment used on the PATRIOT? Used for what? Well, how else is the launcher going to talk to the RADAR, and the command van? Via either encrypted radio signals, or hard link via fiber optic cable. What, you thought networking was new? This is one of the main reasons why the DoD started research into computer networking over 50 years ago. So that one system can easily talk to another, and yet another, through only a single set of cables without needing individual cables connecting each individual piece of equipment to another like a bowl of spaghetti. Now the routing protocols are proprietary, as is the switching equipment. The connector for the fiber optic cables is known as TFOCA, a thick 6 channel connector that comes in spools 300 meters long. This is how each of the launchers (typically 6, but a single RADAR and command van can operate as many as 16 launchers) is able to communicate with all the other equipment in the Battery (and Battalion). Now this system does date to the mid-1970's, but the way it is laid out is not all that much different than a network you might see today. Think of the RADAR as the "Internet", the Command Van as the "Router", and each of the individual launchers as a "Computer". Now instead of Wi-Fi you have CINGARS frequency hopping encrypted radios, or preferably the previously mentioned TFOCA fiber optic cables as the physical layer connecting them all together.